Poppy having fun in her training foster home! Please take a moment to hop over, like and share the graphic and web designer’s page that has graciously offered to redo our website and updated our logo for no cost to the rescue! Ariel was laid to rest today. 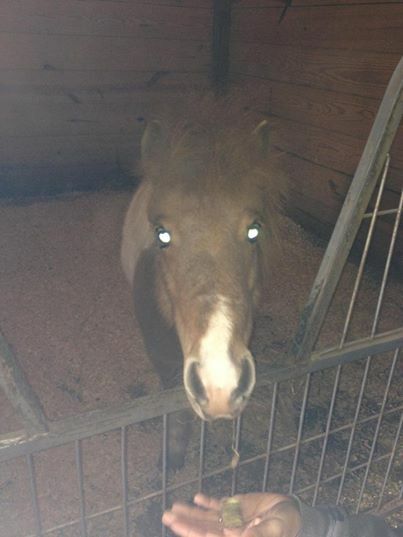 Thank you to those who donated to purchase her and cover her costs. While her expenses ended up going toward giving her a peaceful end verses a rehab, it was a kindness to have been able to offer this to her. Dignity, plenty of food and love at the end. She was only ten years old. “Ariel was laid to rest on a beautiful, sunny day after spending considerable time eating green, green grass. The veterinarian said after examining her, that it would be a matter of months before we walked out one morning and found that her joint had snapped completely in her leg; leaving her in considerable pain until a vet could be summoned to euthanize her. Her ligament disease was hereditary, but had she not been forced to show with very substantial and unnatural shoes, and had corrective intervention been taken earlier, her outcome would have been far far better and happier. Her former owner, a teenage boy who I like to hope didn’t know what he was doing and believed her leg shape was all due to her show shoes, rode her 2 miles to town on the asphalt almost every day last summer and fall. And “Uncle Eddie” who lives just up the road and knows a little about shoeing horses, put road shoes on this mare with no heel and no frog so she could go to town. A little sneak peak at the web design in progress for Heart of Phoenix Equine Rescue! 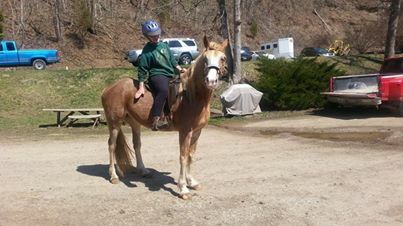 Beautiful Rowan with HOP foster and volunteer, Susan Sunday, today on a little trail ride. Have I told you all how I love this mare?! I know I have! 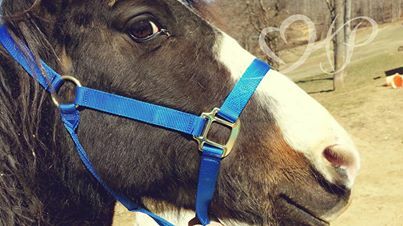 Alfie in his new halter donated by Audrey R of WV! One of our most fabulous afters. . . 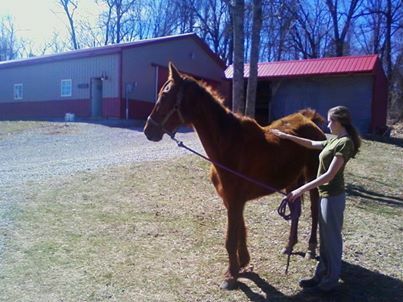 It is my greatest hope that the horses in rescue find homes as quickly as possible. Logically, of course. . .we hope this because that opens up a space to save another, another that likely has no hope beyond this organization’s ability to step in. . . But that isn’t why I say this, I say it because I know horses are astute, sensitive creatures. They are in limbo, they are waiting. . .I know they are aware the rescue isn’t the end of their journey. We as rescuers are stretched thin, always. Did I scratch him, did I brush her, did I speak a kind word to them all, get current photos, give him a treat, too. . .it goes on. It all sometimes runs together. I can never learn all of their quirks, their sweet spots, their dislikes. 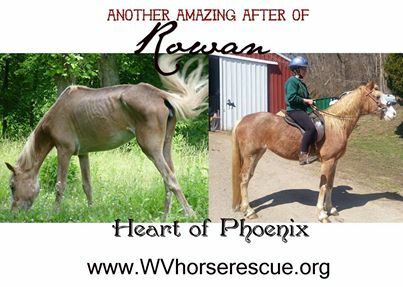 We rehab, we love and give what we can, but we are not the final place for these horses. They deserve more. They deserve you, wherever you are, to find them, to offer what we cannot offer, to be what we cannot be. Look outside the box. . .if you’re looking for a trail partner, a show prospect, a pasture ornament, a first horse, a last horse. . . realize that a purchase need never be your first choice. Many of these horses have been waiting their whole lives for you. Thank you so much for your continued support and have a wonderful weekend!